Still taking in all of the rush of emotions as a technical dream comes true. My friend and occasional business partner of 5 years, James Conlin, was so smitten w/ the idea of dbounty.com that he has helped in tremendous ways to get 'the ship sailin'. Beyond his financial investment, James is a 50/50 ownership co-founder along with myself. Tackling the business side of it while I handle the technical, I can't help but be reminded of the presentation by Dries Buytaert & Tom Erickson on "The Hacker & The Hustler" and Andy Ellwood on Forbes with: "The Dream Team: Hipster, Hacker, and Hustler.". It defines us perfectly. dbounty.com is entered into the Techstars event in Boulder, CO (link to dbounty on f6s). 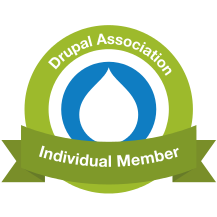 We are looking to have a public beta ready by June 1st and hang out @ Drupal Con Austin 2014 while showing it off.